The next few exercises are aimed at people with restricted mobility and balance. You are encouraged to be creative and to adapt the exercises to any limitations you may have. It's never too late to work on your posture. 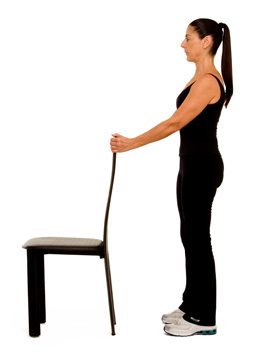 Start standing, with both hands to a chair high enough to hold comfortably.